First published in 1910, Philosophical Essays is one of Bertrand Russell’s earliest works and marks an important period in the evolution of thought of one of the world’s most influential thinkers. 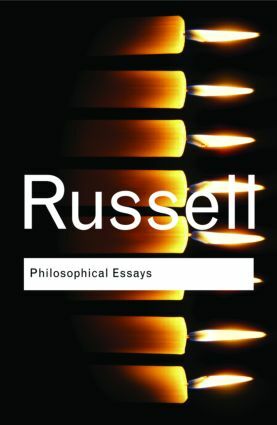 This selection of seven essays displays Russell's incisiveness and brilliance of exposition in the examination of ethical subjects and the nature of truth. Insightful and highly accessible, these essays are as illuminating today as they were on first publication.